My final Imaginisce's Challenge! I enjoyed doing them all :)This one was: RECIPE CHALLENGE Ingredients: 1. One upcycled/recycled item (I used a piece from a cardboard box to cut the flower pot) 2. 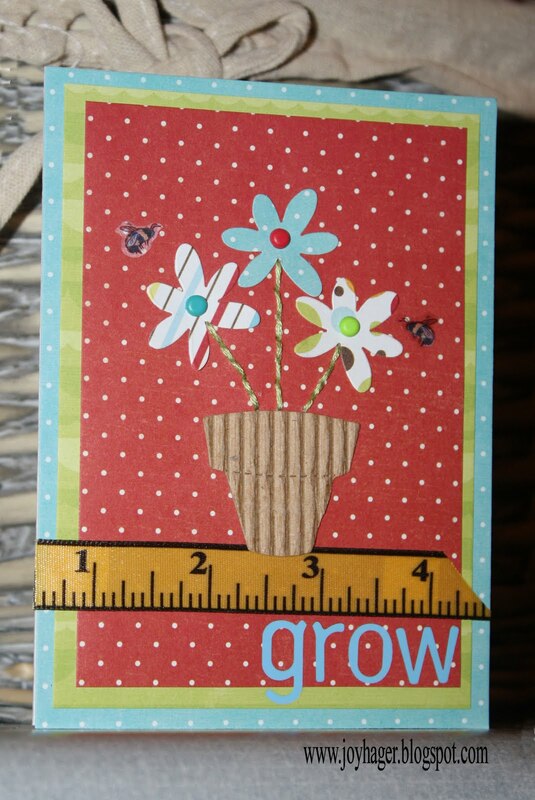 Two stickers (the little bees) 3. Three flowers 4. Four numbers (ribbon) 5. 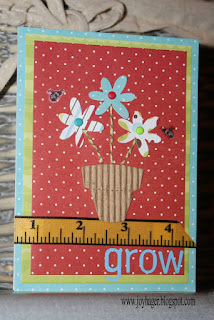 Five different patterned papers (I used papers from Hello Cupcake) Thanks for stopping by!